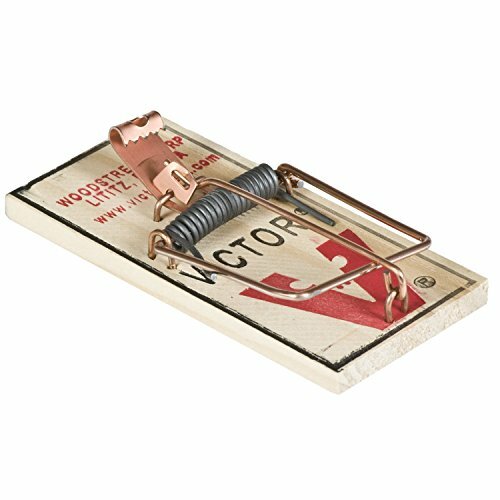 The original wood-based wire snap trap, the Victor Metal Pedal Mouse Trap provides instant rodent control and is safe for household use. Trusted to control mice for over 100 years, this trap allows for clean and quick trapping - ideal for maximum rodent control. Once a rodent triggers the metal petal, the trap immediately springs closed to eliminate the pest on contact. It can then be easily disposed of for quick and clean removal. The traps require no chemicals or poisons, so they are an ideal mouse control device for use around food, water, children and pets.